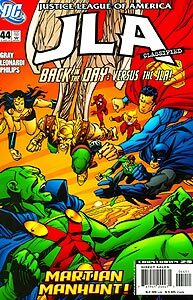 Brief Synopsis: Martian Manhunter struggles to defend himself from psychic assault. Issue Notes: Booster Gold does not appear in this issue, but a psychic apparition bearing his likeness does. 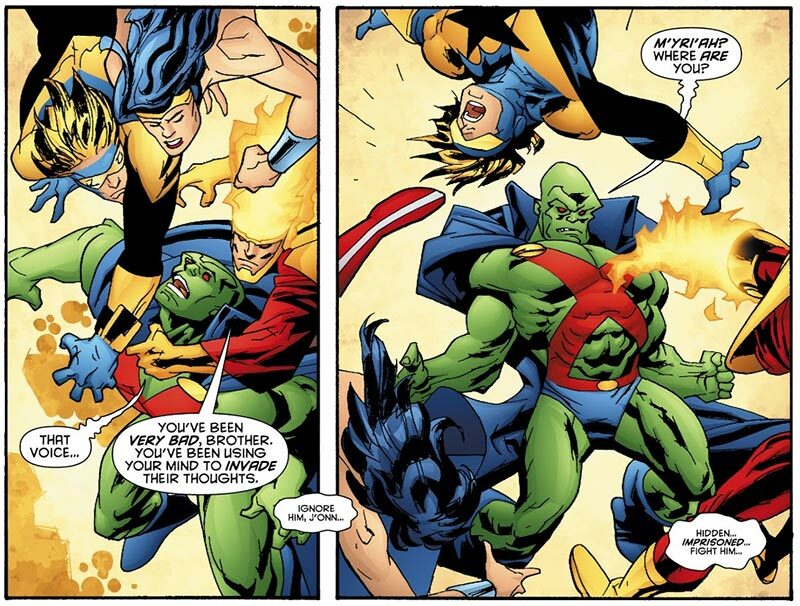 Martian Manhunter envisions an apparition of Booster Gold among the Justice League colleagues attacking him.